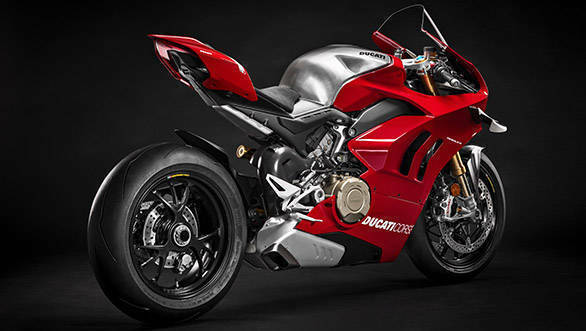 Ducati India has launched its flagship supersport motorcycle, the 2019 Ducati Panigale V4 R, at Rs 51.87 lakh (ex-showroom India). This is an introductory price and bookings for the motorcycle are now open across all Ducati dealerships in India. Five units of the V4 R have been assigned to India and customers who book their bikes before November 30, will receive delivery of their V4 R by the first quarter of 2019. For those making bookings after this date, deliveries will happen in the second quarter of 2019. The V4 R is not a limited-run model and is part of the firm's regular line-up, unlike what you might expect from a homologation special. 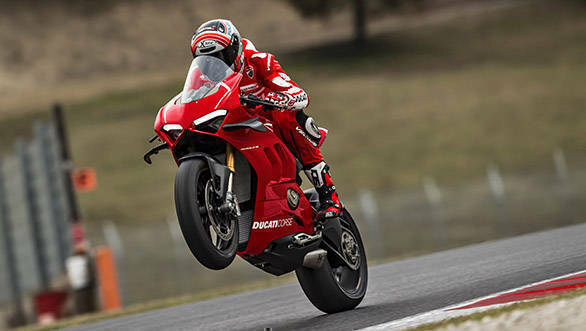 The Panigale V4 R has been derived from the WSBK category racing bike and is the technical platform on which Ducati Superbikes will compete in the 2019 season. 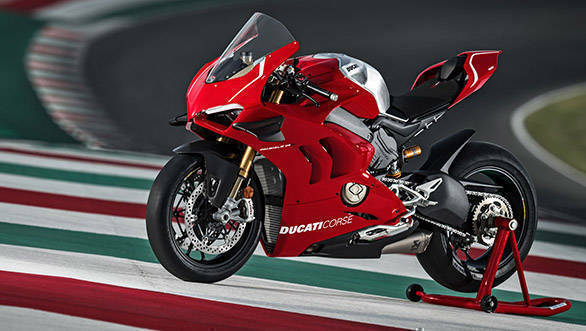 The 2019 Ducati Panigale V4 replaces the 1299 at the top of the Ducati superbike range. The Panigale V4 is the first production Ducati motorcycle to get a four-cylinder engine, derived directly from the MotoGP Desmosedici. This motor, Desmosedici Stradale V4, puts out 221PS at 15,250rpm and 112 Nm at 11,500rpm. An optional titanium Akrapovic exhaust boosts power to 234PS. Ducati has developed an all-new frame where the motor itself has a load-bearing function. This 'Front Frame' has been worked on to achieve the stiffness targets set by Ducati Corse. This has also helped keep the kerb weight down to 195 kg. 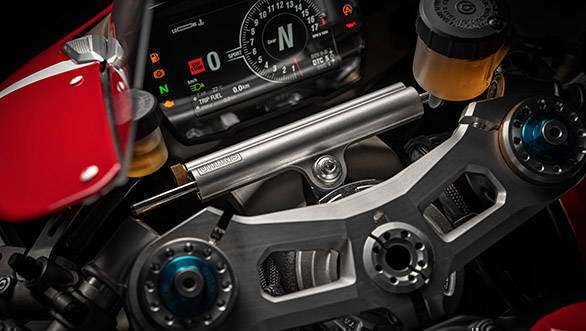 The Ducati Panigale V4R comes equipped with traction control, data analyser with GPS and multimedia system, launch control, wheelie control, Bosch cornering ABS, quickshift, slide control and engine brake control.